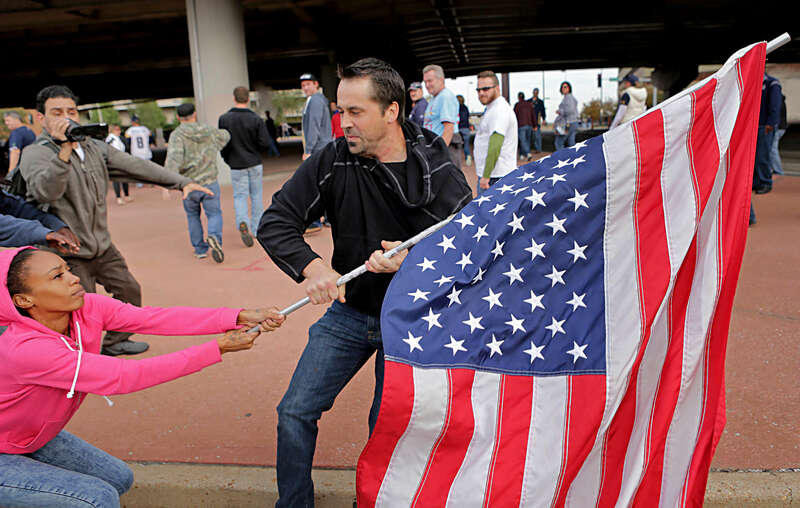 Michael Brown protesters fight to regain control of a flag that was taken by a football fan (right) leaving the Edward Jones Dome after the St. Louis Rams game in St. Louis on Sunday, Oct. 19, 2014. Several fights erupted in a confusing and hectic scene as fans and protesters mixed after the game. Police arrested two protesters but no fans as a result of the melee.